If you are new to the game of Texas Hold’em poker like many people are then this is an article that you should read as it will explain to you the proper ways to play the game. This will help you avoid making mistakes as you begin to play poker online. We will include areas such as how best to choose an online poker room, setting up your online poker account, downloading of any possible software and a few other areas we think will be helpful. 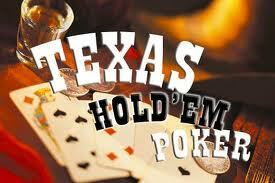 The first thing you need to do before you even consider playing Texas Hold’em poker online is to understand the game. If you have played the game itself in the past then you are ok to move forward but if you have limited knowledge of the game then it is a good idea to do some studying and gain some pointers within the game but more importantly understand how to play the game. As you gain knowledge of how to play you will be in a better position to play it properly and avoid those costly mistakes many people make when they first begin to play. Some poker rooms will offer you tutorial videos to help get you started. These are valuable so take the time to watch them! There are loads of online poker rooms out there today. The most popular is PokerStars but that doesn’t mean they are the best but simply means they have managed to invest huge sums of money to advertise and make their brand known incredibly well. Be sure to take time to read up on each poker room you may be thinking it a good choice for you. You will want to investigate the games they offer, tournaments, sit’n’go’s, qualifiers and table limits. The banking options, level of support, time to process your winnings etc all count so be sure which ever room you chose will offer you the options you expect in an online poker room. When you have selected the poker room you wish to play at you will almost certainly need to download software. This is easy and takes next to no time at all. Simply click on the download button and follow the instructions. You can choose to have an icon added to your desktop or choose not to. The software may ask language preferences and may ask which currency you prefer to deposit with. These are all standard questions that are asked so just go with the flow. Be sure however to only enter true information as should you be requested for proof of identity and used false information you will not be paid your winnings. Setting up your account is a non-issue. You simply need to fill in the appropriate information such as your name, address, telephone number, date of birth etc. Once this has been completed you will be assigned an account number. You will also chose your player alias at this stage so think up a good name but not one too crazy or one that sticks out in other players minds – better to be under the radar than in it! That is pretty much the just of it and you are ready to begin playing. All that is left is to make a deposit and decide where to begin. A bit of good advise is to hit up the sit’n’go’s as the cost is minimal to play and you can take your time to learn your way around the software and get a feel for the games.